There are currently about 21 African American owned banks with assets totaling approximately $4.7 billion or approximately 0.43 percent of African America’s $1.1 trillion in buying power. 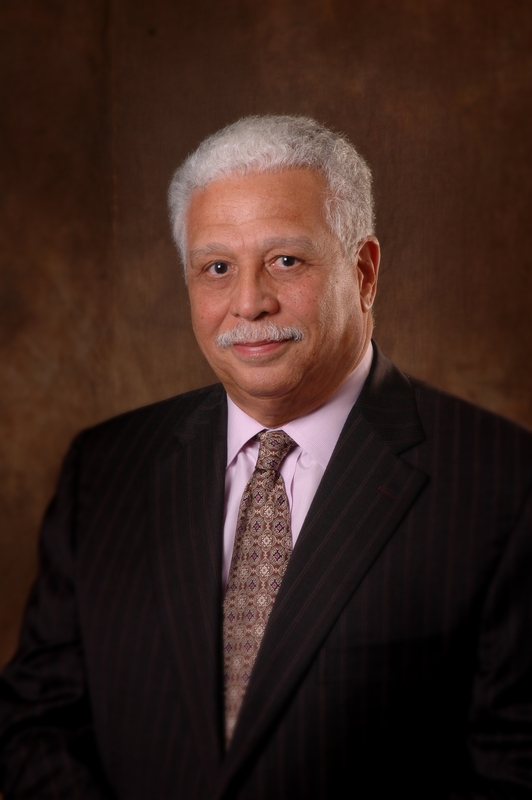 In 1994, there were 54 African American owned banks according to the FDIC. Now, there are 21. We have the power to generate over 1 trillion dollars annually but invest less than half a percent of that in our own financial institutions. It’s time to change these numbers! 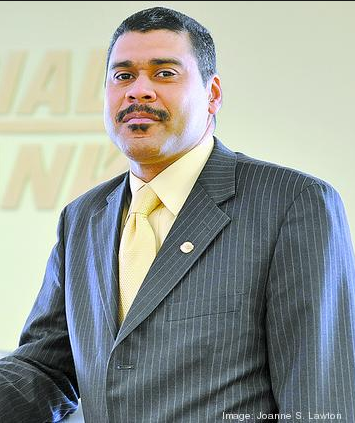 One United is the first Black internet bank and the second largest Black owned bank in the country, with offices in Los Angeles, Boston and Miami. They were awarded the highest Bank Enterprise Award by the U.S. Department of Treasury for our community development lending ten times! Citizens Trust Bank located in Atlanta, GA is a 95 year old Black Owned and operated bank. In February of 2016, rapper Killer Mike, got together with R&B singer Usher and Producer Jermain Dupri to push an initiative to increase new accounts at Citizens Trust. Setting and achieving a goal to raise $1 Million for the bank. 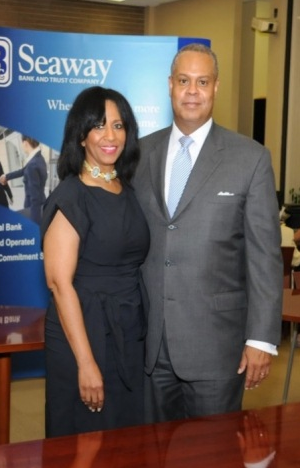 Seaway Bank and Trust Company is a full-service Black Owned commercial bank located in Chicago, Illinois. Established in 1965 as Seaway National Bank of Chicago, it was created to counter discriminatory lending practices on Chicago’s South Side. The founders, a group of local businessmen, sold shares door to door throughout the community to raise the $1,000,000 in capital needed to secure the Federal charter. By the end of its first year, Seaway’s assets had climbed to over $5,000,000, and the bank has grown steadily over the years. Carver was founded in 1948 to serve African-American communities whose residents, businesses, and institutions had limited access to mainstream financial services. 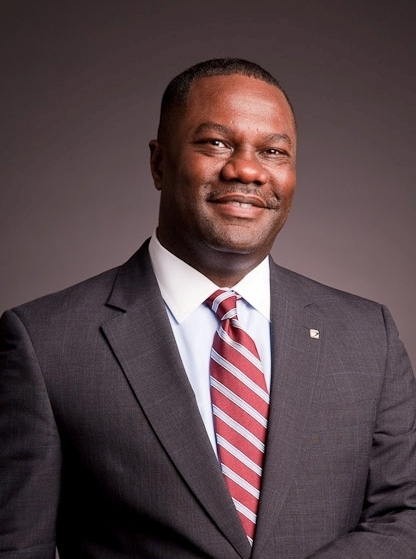 Today, Carver is the largest African-American operated bank in the United States. Since its inception, the Bank has continuously been headquartered in Harlem, and most of our ten branches and 24/7 ATM Centers are located in low- to moderate- income neighborhoods. In 1972, Liberty Bank was chartered in New Orleans, Louisiana, with a focus on service, integrity and a sincere interest in community and business development. Nearly four decades later, Liberty Bank has expanded to 18 branch offices in six states. 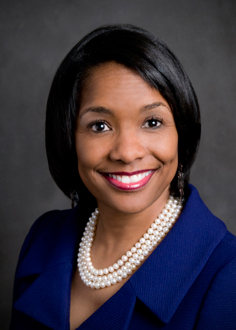 Liberty Bank established its Baton Rouge presence in 1994 and opened a third branch in 2004. Liberty then moved into Mississippi in 2003, acquiring First American Bank in Jackson. This was followed by expansion into the Greater Kansas City market with the acquisition of Douglass bank in Kansas City, Kansas, and Kansas City, Missouri, in 2008. Industrial Bank was founded on August 20, 1934, and is the oldest and largest African American owned commercial bank in the metropolitan Washington, D.C. region. Since 1934, the bank has delivered essential banking and financial services which have contributed greatly to the growth and development of the Washington, D.C. community. From that first day in 1934, when Industrial Bank had just six employees and $192,000 in assets, Industrial Bank has grown into an institution with over 115 employees and over $389 million in assets. Hello, I live in the Richmond Va Area . Are there any black owned Banks in this area. I don’t know of any. Yes Consolidated Bank is black owned bank still in operation in Richmond, VA.
any black on banks near Charlottesville,Va? There are not any black owned banks in Charlottesville VA. However, I am the AVP and Managing Officer of a community bank located in Charlottesville VA. I am open to providing financial literacy training to minority groups, clubs, churches etc. I would be happy to share what I have learned over my twenty plus years in the field to help our people become financially stronger. Knowledge is power. Karen, I’m an MBA at the Darden School. May you please let me know how I can get in touch with you to speak with an organization I run on Grounds? Left off my name for anonymity, but will disclose who I am in our personal communication. Thank you. There is a Black-owned credit union in Suffolk, VA called Metropolitan Church Federal Credit Union. Unfortunately, they do not have a website yet. The owners are wonderful people, and the credit union has been around for over 40 years. We need one in Dallas or Fort Worth Texas??? Where is there Location, I’ve went to there website but they have no Branches listed in Dallas.? I thought it was exclusive for their church members. My mother lives across the street from their credit union and it is never open. There are no Black owned banks in Texas. The last one was Unity Bank in Houston and that has been bought out by Amergy bank. Yessssssssssssssss Dallas wants to hop on this train too!!! Yes indeed! Texas I’m sure would be harder but praying we get some Black owned banks! Especially around the DFW area! Yes if there’s any operating in Dallas please list. I’m with you on this but I have yet to find one in our area! Houston is to far away! I live in Orlando and I’m looking for one myself. There was one located in Washington Shores located on Goldwyn but it has been sold to Axiom now. One United may be the closest bank to us. Unless you can bank in Atlanta (Citizens Trust) and maybe get them to waive ATM fees. Are there any in Texas…. I would love to support them if there are any. @ Jewel; I’ve heard that there is a black owned Credit Union in The Pear Orchard area of Bmt. Does anyone know….Is there one in Cincinnati Ohio? Any black owned banks/credit unions closer to the Lafayette La area?? Nearest is Liberty in Opelousas! One United Bank is online and has FREE ATMS all over the Lafayette area though! Mechanics and Farmers has been rebranded to M&F Bank. Please change it as it could be important to getting people to join. This bank is two miles from me. It still has Mechanics & Farmers name next to the M&F logo on the side of the building. M&F re-branded and is focusing getting away from black customers… do your research before you invest if it is still for you here is the article from their site. Thank You for the useful information. It is imperative we research before making such moves. Make sure they are for you! That article said nothing about getting away from black customers. it said the need a younger customer base. So they are still a black bank wanting black customers older people just don’t borrow money like young people do. I’m looking for a black owned bank as well.? Are there any in Arizona? I live in AZ and have been looking for a black-owned bank or credit union if anyone has any information please leave it in the post. Thanks! Virginia State University has a credit union on campus. Is it black owned? One United Bank is in Miami. Is the Citizens Bank & Trust in Enterprise Alabama black owned? Are they FDIC insured or is it a use at your own risk situation? They are FDIC insured. That info is on their websites. Are these banks FDIC insured? WE NEED TO SUPPORT ONE ANOTHER! WE ALL NEED TO BE THE CHANGE WE WANT TO SEE. your bank does not have to be local for you to access it. My current bank is in Illinois and I live in FL. Thanks for saying that because I was wondering how that would work. Do you have trouble having access to your money? What about Bay Area, Ca? I’m interested in Bay Area banks also. How many of these banks have online banking? Please come to Minnesota and would love to but stock in the companies. We need one in Orland Fl. home of Walt Disney, its noting but money here. We need a black Bank or credit union in the Tulsa Oklahoma and Oklahoma city Oklahoma area. Hi Rev. It’s Sis Weatherd. I believe Morning Star Baptist Church has a credit union in Tulsa but you can verify that. I heard they go through Tulsa Teachers CU. Do the banks on the list have at least 51% or more ownership by AA? 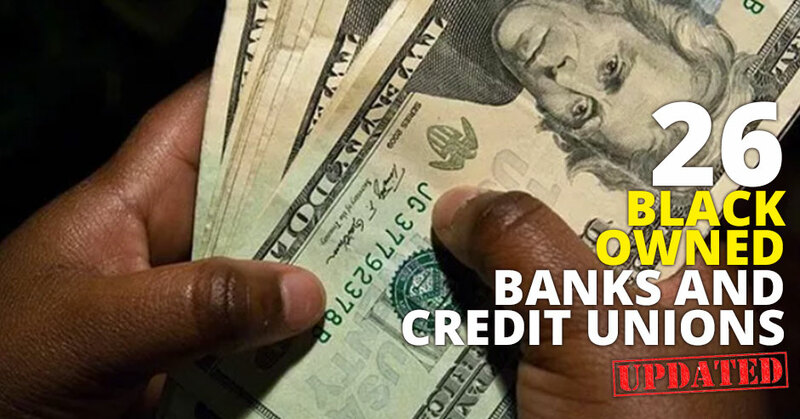 We need a Black Owned Credit Union in Newark, NJ. I was just looking into them and on their website, not once did it outright mention “black owned” so I was curious as to if they actually were? Could have been an oversite, but I was hoping to get some clarity on that. Is there any in or near syracuse ny ? I will make the drive. Looking for Black owned banks in Canton, Akron, or Cleveland, Ohio. We have Citizens Bank but not sure if that’s the same as Citizens Trust. Glad you asked. I am searching also. Any one in Orange County Califonia? I am looking to find out this same question. Have you gotten any answers? Need some in the Virginia area!! Are there any in Madison, Wisconsin? If not how can I open one with another bank with the assurance that I’m only doing business with a black owned bank? I would like to close my account immediately and patronize a black owned bank. Is there any black owned bank in Orlando? I need one that I can walk into that is why I am asking. I live in Greenville, SC and we do not have any here that I know of, but I recently heard about C.O. Federal Credit Union in Charleston, SC. There is a black owned bank in Columbia, SC and West Columbia, SC. They are in the list above. Any black owned banks in Kentucky? Any Black Owned banks n St Louis, MO? Any black owned banks in Denver, Colorado? I’m looking for black owned in Denver as well! I think St. Louis Community Credit Union was black owned, at least it used to be black owned. We need a black owned bank in Peru, South America, please help us with your experience. Is there any black owned banks in Oklahoma?? Any of them in Philadelphia, PA area? Even though someone says there’s one in Charleston, SC, I’d like to verify if its true? Is there a Black owned Bank in Phx,Az …I want so much to support my people.OMG!!! I am so happy!! We are on our way!!! Their is not any in Tulsa oklahoma ? St. Louis, Missouri city and county areas are in need of having a Black owned bank in which residents in the Black communities as well as all others outside the communities whom wish to partake, can support!!! I heard Carver is only 2% black owned. Should we still consider that bank? Are there any banks or credit unions out here in NY we can use? I don’t consider Carver Federal Savings to be black owned anymore. You can always choose City National Bank. http://www.citynatbank.com They have a branch in Harlem and in Brooklyn. HERE ARE LINKS TO BLACK OWNED , BANKS, FARMERS, ETC, AND OTHER BLACK OWNED BUSINESSES…PEACE. Any black owned banks in Denver, Co? 833 Gardner C. Taylor Blvd. Hope Credit Union was started by Anderson UMC (black church) in Jackson Mississippi (now has branches in 4 states) but I am not 100% if they are still black owned or not. The article was great, are there any Black owned Banks in the Daytona Beach Area. Black owned bank in lafayette, la. Any black owned banks near Louisville, KY? Metro Bank is supposedly black owned. I’ll be having an appointment with them to make sure. How does Oakland Ca not have one? Are there any in Las Vegas, Nv? Hello my name is Harold Jones and wanted to if there are any black owned banks in the South Jersey Region of of New Jersey near Philadelphia? M&F has re-branded to not focus on black clientele in order to sustain their bank’s assets and business. But are they still owned by Black? Any black owned banks near Denver, Colorado? I can do online banking. Why post this on social media. If it’s a boycott, why tell the world? How you think other “organizations” become successful; because they kept it as a secret. Is the any black owned band in Indiana? Or any other options for those who don’t have a local black owned bank or credit union? Are there any in Denver, Colorado? Does anyone know of any black owned banks in Minnesota? Davenport Florida, Kissimmee FLorida, or even Orlando FLorida.. Please, open one here. Oakland, California? I see no banks or credit unions? Any in the Bay Area at all? And are we talking savings accounts? What the best tool to show support and empower? Don’t have huge money but want to do right/ better. Could you inform me as to where in Minnesota if there are any Black owned banks or credit unions. I did not see any listing for black owned banks in California mat be one or two of the ones above should think about expanding here, at lease one in LA , Orange County, and San Diego. It is my understand that the M&F Bank in North Carolina is an (African American Bank) yet, when I clicked to sign up, all I saw in the back ground of the page representing families were white families. As a bank and institution, why are their not any African American families that is also in the back ground representing the people whom the bank represent? Are there any credit unions or banks in Canton Ohio area? If you are in the ORLANDO area – the black owned bank is in Maitland called Axiom Bank. They also have locations in TAMPA and JACKSONVILLE. Branches and ATMS are in Wal-Mart stores too. Owned by Robert L. Johnson (yes, from BET). Disclaimer: The only part that bothers me is that the bank doesn’t have any black executives in leadership. Is there one in San Diego, California? How is even possible that the Nation of Islam does not have a bank? The 3 Year Economic Plan fundraiser lasted for 15 year! The last black owned bank I joined had more Hispanic employees than blacks! I never seen any blacks working in Hispanic businesses. Are there any black owned banks and credit unions in Cleveland Ohio? Thank you. Hello. Are there any black owned banks in The columbus ohio area? Any in Tampa Florida that anyone know of? I see banks in southern California but nothing in or near Sacramento, I would love to support. First Legacy Community Credit Union in Charlotte, NC. 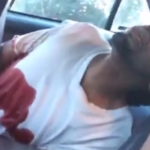 I live in Orlando, Florida are there any black owned banks or credit unions near me? I live in Orlando too and I don’t think so. Someone posted that Axiom (Orlando) is black owned but I honestly doubt that after further research. Are there any Black Owned Banks in Jacksonville, FL? Is there any black owned banks in Kentucky? I would love to put my money in a black owned back, but can’t find any in Cleveland, Ohio, and I don’t want to trust banking over the internet with a bank out of town. Are there any black owned banks in the Tampa/Brandon/Riverview, Florida area? Any of these banks in Rhode Island? are there any Black owned banks in Texas? Are there any in Las Vegas? Are there any black owned banks on Cleveland, Ohio? 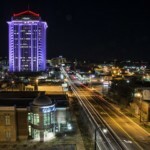 Are there any black owned businesses in the Little Rock, AR area? Or close to it ? Are there any black owned banks in Orlando, FL ? Are there any black-owned banks or credit unions in CT? Antioch Baptist Church in Cleveland OH, has a credit union. Hello are there any Black Owned Banks in Colorado, if mot how do we open one or get one here ASAP? I live in Orlando, Florida and I have been trying to find out if Axiom Bank, formoraly known as Urban Trust Bank is still black owned? I’ve seen some articles that former BET president Robert Johnson owns them, is this still true, and if so why is t this bank listed as a “black owned bank” on this current list? Carver is no longer Black-owned. 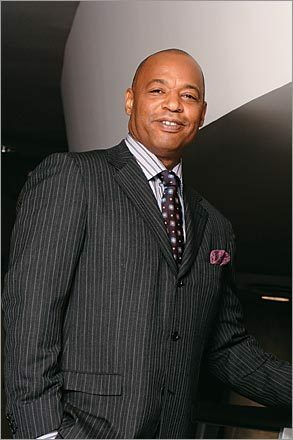 Im ready to pull the trigger on putting what i have “under the mattress” in a black owned bank here in NY. I have one in Newark NJ and one in Harlem. Lets say i put the money in the NJ bank will that only benefit the interests and improvement of Black neighborhoods in Jersey? I want to invest my money in these places but it will not benefit where i currently live or spend and i am not in a position to relocate at the moment. Im all for helping build the black community by putting my money in either of these banks but would like some benefit myself. Are there any black owned banks near Tulsa Oklahoma at least? Hello All, I’m looking for a Bank/Credit Union, in the Wash., DC area. Also, can anyone please tell me, why I’d chose one over another? Thank you, in advance. Any Black owned banks in New Jersey? You can email me at Treasuree815@gmail.com. Axiom Bank in Florida is no longer black owned. Does anyone know of any other black owned banks in Central Florida? Friendship West Baptist Church in Dallas, TX has a Credit Union: Faith Cooperative Federal Credit Union http://www.faithcfcu.com/about-fcfcu.html. However you do have to be a member of FWBC. Hello, My name is carin. Please allow me to read at least one article without a pop-up ad for enrollment to display every 3 seconds (Next click). It is discouraging and very annoying. Allow me a chance to know if this sites provides the type of information/entertainment I will enjoy. Typically I would not write this type of response, I would have simply left the page and continued my search for information from another web source. I leave this response with the thought that someone else may feel similarly and a small adjustment might increase your viewership. Did you pay to read this article? You think the people who created this website, took the time to research the content for this article and then write it do it for fun? Just like all website that you go to, they make their money off of advertising dollars. Do you send letters to NBC, ABC and CBS asking them not to show commercials between their TV shows? I doubt it. I live inBridgeport Connecticut and there’s not one black bank or credit union here? I lived in Columbus OH are there any black owned banks near me? Hello I’m a former restaurant owner in kcmo. I have the vision to open a skating rink in the heart of the city for the families who can’t get to the rinks that are far away inthe suburbs. I’m looking for a financial Institute that would help me with funding. Please help with your suggestions. It is so important and necessary for us to support our own communites. But I am also concerned about if great customer service is offered…the African-American operated bank in OKC is terrible at it. I believe I will look outside my city brcause of that. One thing I would like to say is before purchasing more pc memory, take a look at the machine in which it can be installed. If your machine is actually running Windows XP, for instance, the memory limit is 3.25GB. Putting in in excess of this would purely constitute a new waste. Make certain that one’s motherboard can handle this upgrade amount, as well. Good blog post.